This was a maze with no dead ends, but several of the walls got erased. Fortunately, there still is only one possible path which does not cross any of the remaining walls. Write "OFUGISDO HGILNEED STOTMANA DIVIRTUE ECNDWFHE ENOEFIOE LNZUGEFT OWLHTFHH TYALKSAO RHEUMMAA" along the resulting path, starting at the bottom. 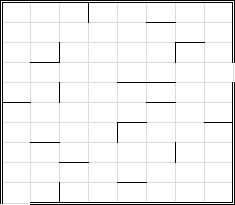 Place one letter per square while ignoring spaces, and a quotation should emerge.